This type of portfolio became known as a hedge fund and Jones was the first money manager to combine a hedged investment strategy using leverage and shared risk, with fees based on performance. A 1966 Fortune magazine article reported that Jones fund had outperformed the best mutual funds despite his 20% performance fee. By 1968 there were almost 200 hedge funds, and the first fund of funds that utilized hedge funds was created in 1969 in Geneva. The hedge fund universe is very diverse and there are funds that employ techniques to reduce risk and volatility while others actually amplify risk and volatility through the use of leverage. Even fees typically charged by the funds to their investors vary widely. A few years ago most charged 2 and 20, meaning 2 per cent annual management fee and 20 per cent performance / incentive fee. Today management fees range from 0-5 per cent and performance fees from 0-30 per cent. Some funds now offer clawback clauses for performance fees should the performance deteriorate at a later time. Since hedge funds are private entities and have few public disclosure requirements, this is sometimes perceived as a lack of transparency. Another common perception of hedge funds is that their managers are not subject to as much regulatory oversight and/or registration requirements as other financial investment managers, and more prone to manager-specific idiosyncratic risks such as style drifts, faulty operations, or fraud. New regulations introduced in the US and the EU as of 2010 require hedge fund managers to report more information, leading to greater transparency. The majority of hedge funds is not intransparent and frequently shares more information with their investors than the average mutual (regulated) fund. In addition, potential investors were always able to follow the industry and inform themselves through dedicated databases like Morgan Hedge. The majority of funds is still domiciled in the Caribbean closely followed by onshore funds in the US and onshore/offshore funds in Europe. Every hedge fund database is prone to the so-called survivorship bias. 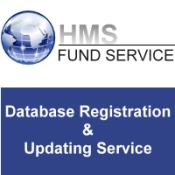 Since individual hedge funds can freely choose whether they want to report their returns to industry databases like Morgan Hedge, only the better-performing will remain in the databases (survive) while the others, not well-performing funds, will stop reporting. Thus, the reported returns exaggerate the returns earned by the average investor. 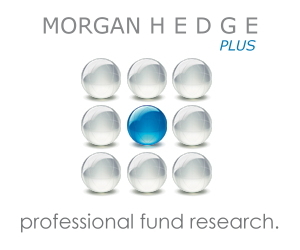 There are many funds at Morgan Hedge that stopped reporting their performances at some point. However, these funds remain in the Morgan Hedge database and investors are still able to review their historical returns. This is especially useful when researching a certain manager who still reports other funds to the database. Due to their nature, hedge funds are not suitable for every investor and they are no guarantee to deliver positive in all market conditions. However, the addition of hedge funds to a balanced portfolio can reduce overall portfolio risk and volatility and increase returns. For this reason, they should, after proper research and due diligence, be considered by every serious investor.